Either you want to give a makeover to your existing pantry or you want a new pantry design then how about this lazy susan pantry? A lazy susan pantry not only looks neat but it is highly practical as well. All you need to do is to install lazy susan disks at the corners or in the middle or your pantry shelves. 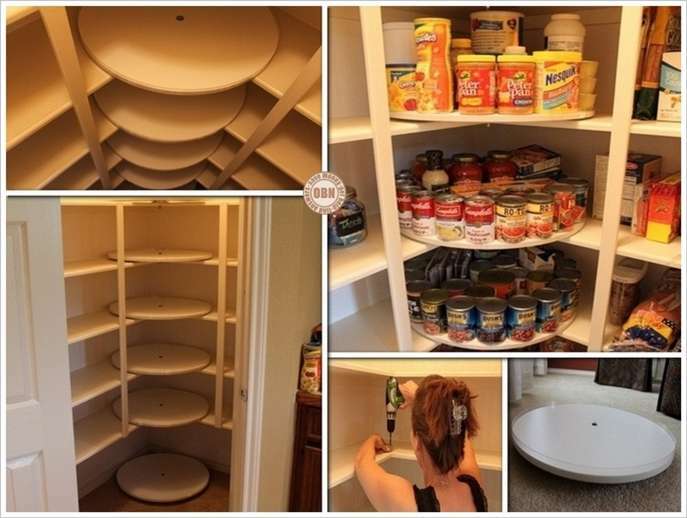 Regarding the tutorial to the lazy susan disks you can get an idea from lazy susan shoe rack post that we discussed earlier. Once the lazy susan disks are installed with the help of turntable swivels, the difference will be clearly visible. 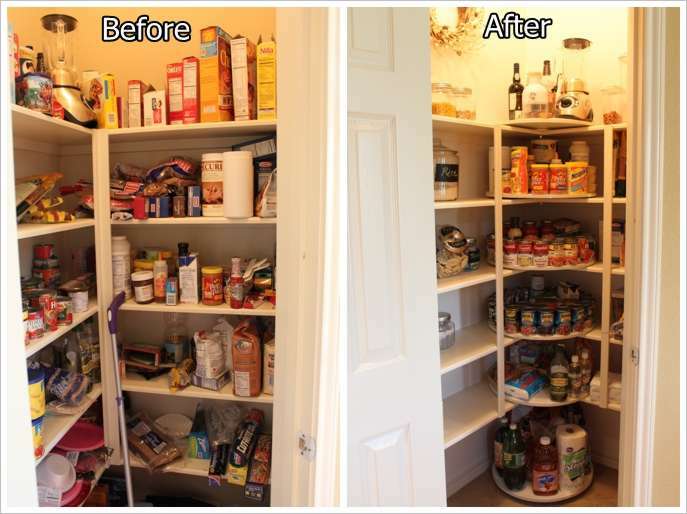 Your pantry will me much more tidy, organized and easy to use.